Ives: I am not personally circulating petitions. I don’t know if they’re still out there among the committeemen, and they may still be getting signatures for that race as well. I do have the minimum, but I’m not circulating those now. We’re focused on this governor race and getting on the ballot. Mackey: I’d seen a report somewhere that maybe she’s circulating petition for the House, in case this doesn’t pan out, she could still keep her House seat. Obviously one of the liabilities of being a House candidate who wants to run for statewide office is that you can only file for one office at a time, I think. So you have to pick one or the other. 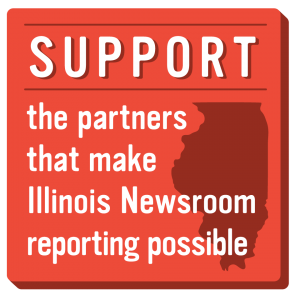 Editor’s note: We asked the Rauner campaign if it wanted to respond to Ives’ charge that the governor lied to supporters and taxpayers on public funding for abortions, the Trust Act, and school funding reform. Previous post: Hackers Attack LA, Boston, And… Crab Orchard, IL?